One of our website design freelancers, Sam Stebbins, found an individual online that had a very large following on YouTube. Sam approached him (Eric Lilliebridge) with a propsal to create him a website at no cost to him. Sam has started the work on the site and already has a good amount of it completed. The idea is that a portion of any sales that Eric makes on his website will also go to Sam for providing the additional marketing and advertising for Eric. This was a win-win situation for both individuals since Eric now has a fully featured eCommerce website to sell his products with no money out of his pocket, and Sam spent the time creating the site in hopes of making a percentage of the revenues generated from the website. Sam continues to choose us as his website hosting provider of choice because of the reliability and speed of our systems. 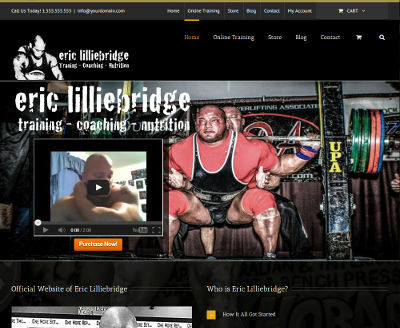 Eric’s website is at ericlilliebridge.com.